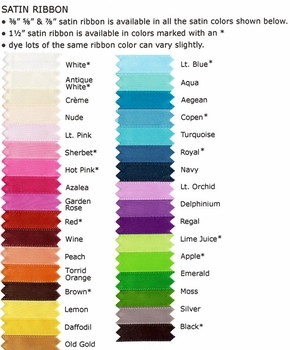 Select Ribbon Quantity: - please select -10 Yards (30 Feet)20 Yards (60 feet), add (+$23.00)40 Yards (120 feet), add (+$69.00)60 Yards (180 feet), add (+$115.00)80yards(240feet,add(+$161.00)""100Yards(300feet),add(+$207.00)"
This personalized 1 1/2" satin ribbon with woven edge adds that final decorative element to your packaging. 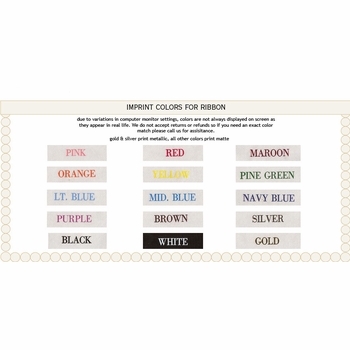 Choose a cheerful yellow for birthdays, A rich red for holidays. 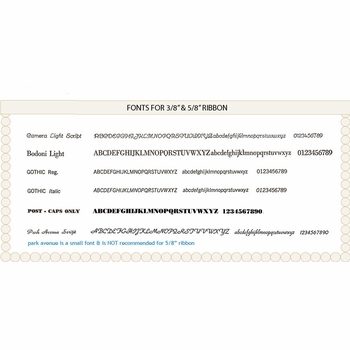 With any choice your recipient will know something special awaits them. 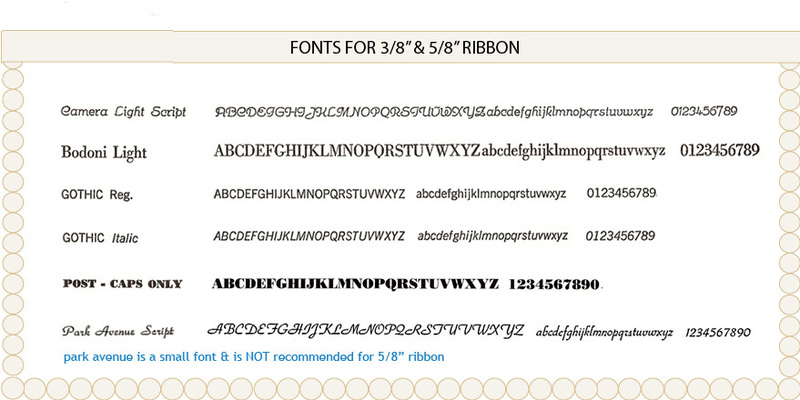 This luxurious ribbon comes in a continuous roll allowing up to 35 characters for Upper/Lower case. 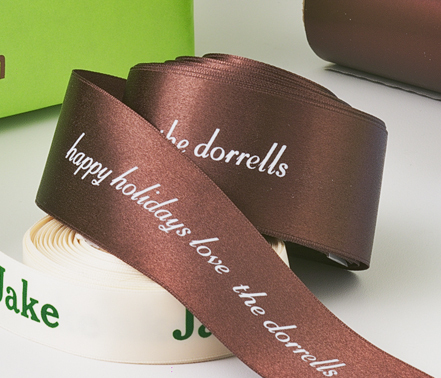 Ribbon comes with 6 to 7 imprints per yard with 1 to 1�" of spacing between each imprint so you can personalize it with a message or child's name on it. 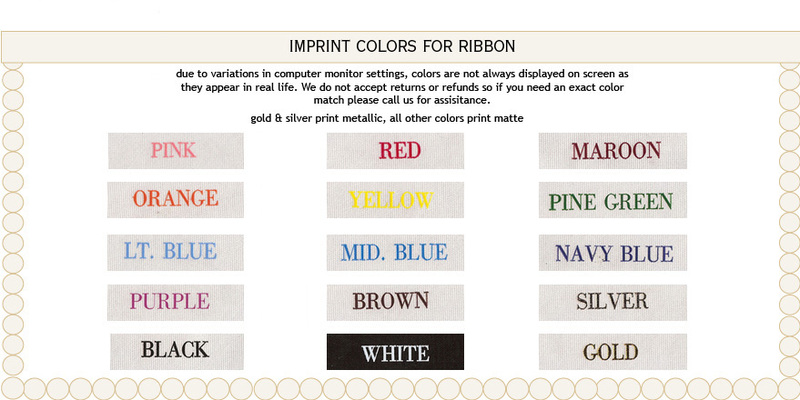 Ribbon colors are not exact. 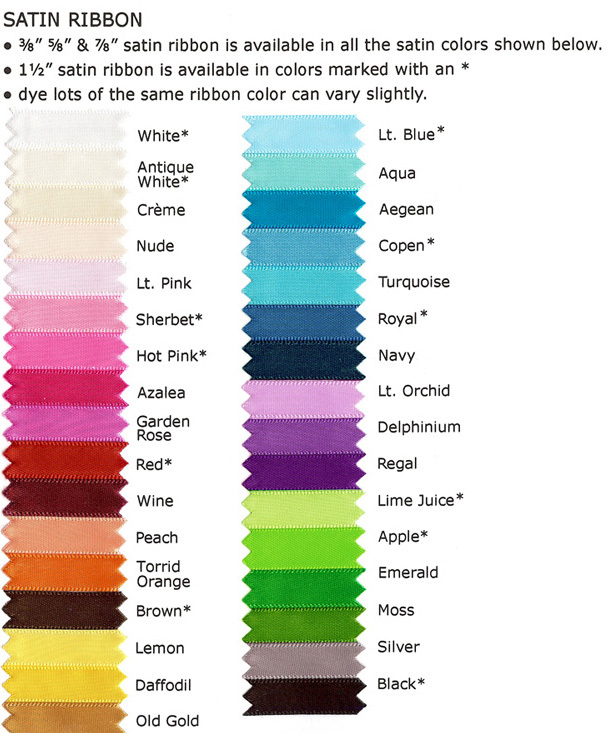 If you are uncertain of a ribbon color please call to request a sample as there are no returns or refunds allowed. 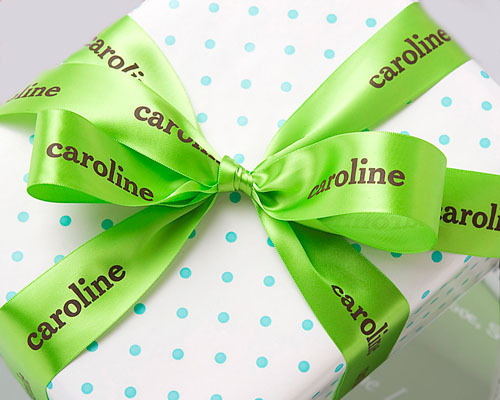 Featured in OPRAH'S O MAGAZINES "FAVORITE THINGS LIST"
What is the standard delivery time? A. Standard processing for most products is approximately 14 to 21 business days plus shipping time. (This is not a guaranteed time frame as certain circumstances may cause a longer delivery) Standard delivery excludes INTERNATIONAL orders which could take up to an additional 3 weeks. Since Holidays tend to get busy, orders can take up to a week longer. Are Rush Orders available? A. Standard Rush orders must be phoned in to our customer service department at 1-203-655-0185. All orders placed prior to 3:00 EST will be shipped within 3 business days. Orders received after 3:00 pm will go out on the 4th business day. A standard Rush order is $25.00 per item/ Not per order. 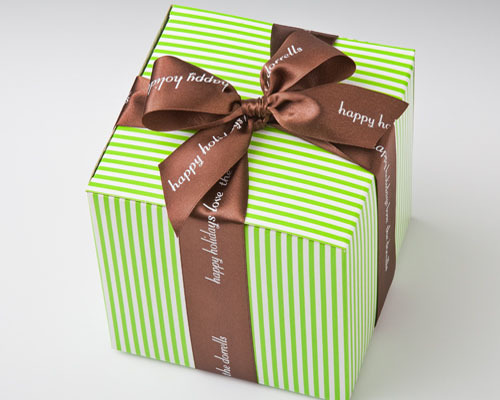 Holiday Rush orders are $50.00 per item and our holiday rush season is from October 1st through Decxember 17th. Shipping charges are extra. You may choose overnight, 2nd day air or ground service- we will rate shop your price according to your zip code and delivery area.